The other day, our beloved cat Loki had a stroke. A TIA or “transient ischemic attack” as it is known. I frantically phoned my vet and rushed him in to be examined. They ran a barrage of tests, and the vet noticed while taking his vitals that he had an arrhythmia in his heartbeat. She ordered a (very expensive) chest x-ray and discovered fluid in his lungs, and an enlarged heart (which could have caused said stroke). She also informed us later that he has hyperthyroidism, which could also have played a part in the heart issue. Suddenly my otherwise healthy cat was on three different prescriptions. The vet called 2 into the local, small town pharmacy nearby and filled one for a suspension liquid right there in her office. In addition to over $600 in x-rays, lab work and exam fees, we shelled out nearly $100 for prescriptions that my sweet boy desperately needed. I felt like a bad pet-parent, because my first instinct was “oh man, we don’t have an extra $100 in the budget for cat medication every month!” I want nothing more than to keep my sweet kitty healthy, but CRAP this was going to be a big strain. 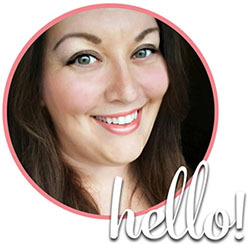 I reached out to a lovely group of pet bloggers I work with, and asked if anyone had information on pet insurance. The general consensus was that he would not be eligible for insurance due to his age and pre-existing condition (which is what I was afraid of hearing). One of the ladies suggested shopping around for better prices on the prescriptions. Better prices? You mean you can bargain shop for prescriptions? I had no idea. I have always had medical insurance, and I have always used a national chain pharmacy for my own prescriptions. The vet said she knew the local mom and pop pharmacy carried the meds we needed, so she sent us there. I assumed that the drug manufacturers set their own prices. Wrong! Two of his three medications are “human” medicines, just in kitty-sized doses. After Julie of Cats Herd You suggested shopping around, I took her advice and went to GoodRx.com which is a free online tool that lets you comparison shop pharmacies in your area. You put in your location, type in the medications you need and it will tell you the price for each medication. I’m not affiliated with them in any way, but I found out about the site after doing a bit of research myself and wanted to share about it because its going to save us LOTS of money. I literally had no idea there could be such a HUGE difference in prescription prices! For example, his heart medication, a generic pill was $32 for a one-month supply at the pharmacy in our town. I was able to find it for $4 at the pharmacy across the street from my husband’s office! That’s a MASSIVE difference. The other medication was $12 and I was able to find it also for $4. The last medication is an oral suspension compounded by the veterinarian. A bottle costs $45 for a one-month supply. Unfortunately the “human pharmacy” doesn’t offer it in an oral formula, and so as prescribed I have to get it from the vet. I did however find the same medication and dose in pill form for $10 at the pharmacy by my husband’s office. Of course, I have to get the ok from the vet, but assuming that’s ok to switch, we’re talking HUGE savings. Of course as I said before, I can’t just change the suspension to a pill, but if the vet gives me the go ahead, that means I’m saving $71 a month on his medications! The only difference is the store from which they are purchased. I had no idea that there was such a variation in prices between pharmacies. I always assumed that the price was set by the manufacturer and it didn’t matter where you got them. I couldn’t have been more wrong. 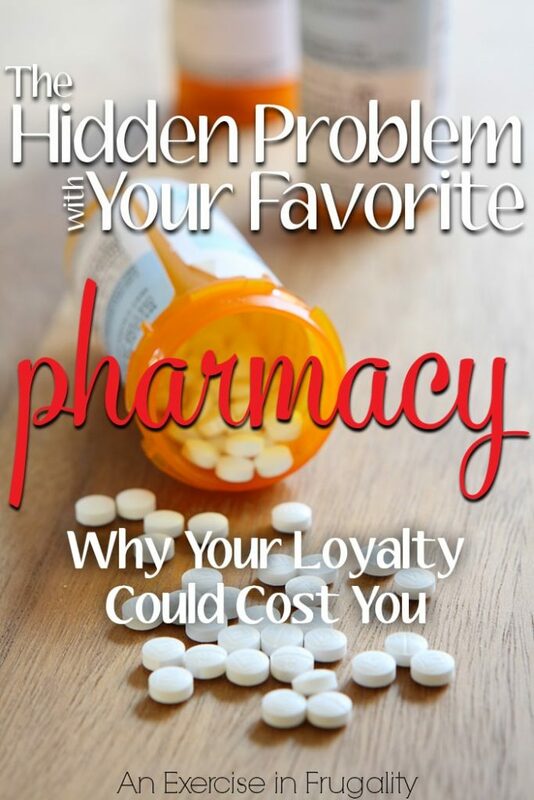 In addition to lower prices, stores often offer an incentive for transferring prescriptions to their pharmacy. Check to see where you’ll get the best prices on your prescriptions, and look to see if they offer a gift card, coupon code or other incentive for using their pharmacy. 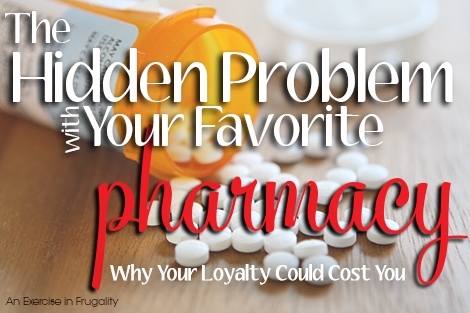 Have you compared prescription prices at your pharmacy? This is crazy. Only in the last few months of our dog’s life did we purchase meds from a discount pharmacy rather than our vet – a very expensive lesson. Yes! Totally crazy. Some of the meds were through a regular human pharmacy too, not just the vet. Its scary to think how many people could be drastically overpaying! I learned about a year ago that I can purchase the heart worm medication for our large dog for less than half of the vet’s price from our local Sam’s Club. While I really want to support our good and trusted veterinarian, more than twice the price?! Insane! I completely agree. Our vet is a small husband and wife team, and I would love to support them, but I simply cannot justify the cost. I talked to her today and she said she can write an Rx for the thyroid pill, which means it will cost me $10 for the pill vs $45 for the liquid I bought from her for a month’s supply!